How many children can you paint in an hour? I’m fast while keeping the design quality high. Side of the cheek designs take 2-3 minutes while full-faced masks take approximatey 4 minutes. I can also do a choice of two different designs that take 1/2 min per child. 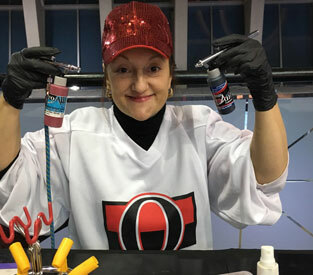 Airbrush designs are extra fast, and logos take 25 seconds from start to finish. That’s 144 people in 1 hour. How do you keep things clean? I use a special soap that I add to my painting water. I use a different sponge for every painting, and I change my water frequently. I refuse to paint a child’s face if the child is sick or has open sores - as an alternative I offer arm or leg painting. I do have my own table, chairs and tent when needed, however if an event would prefer me to use their equipment I can do that. I make a point to only use the highest quality products when I paint. All products used are FDA approved, hypoallergenic, and 100% skin safe. 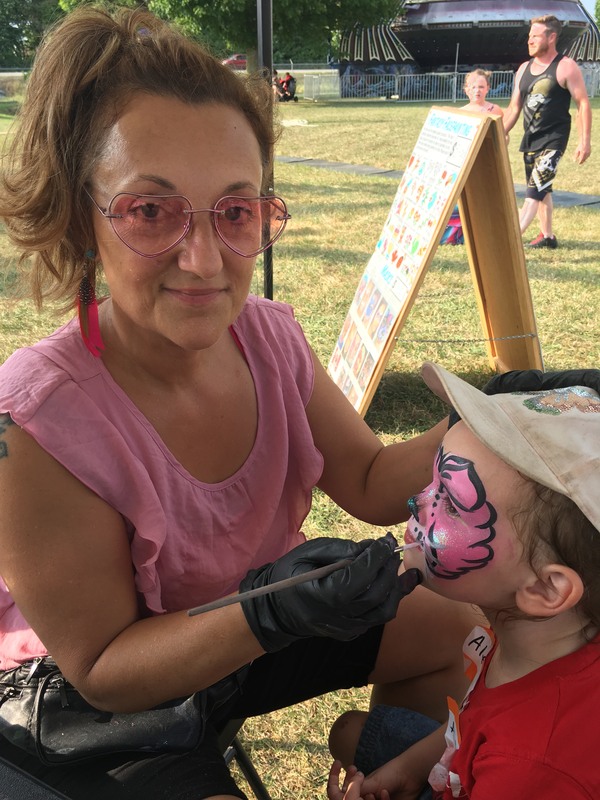 Melissa and Fantasy face painting will not take any responsibility for any allergic reactions to any products used, that is the responsibility of the parents or guardian. Book me - phone, text, or email! !